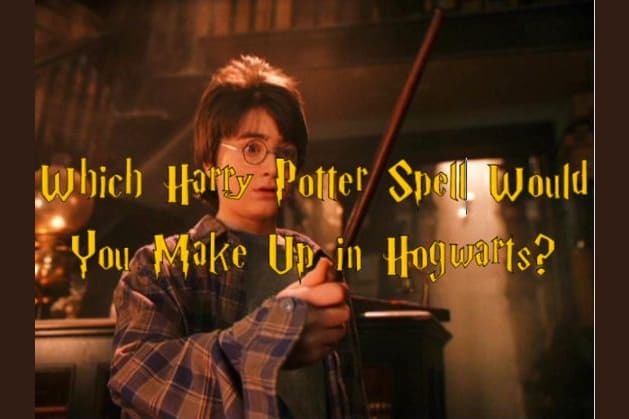 Which Harry Potter Spell Would You Make Up in Hogwarts? What's your favorite HP spell? And you've been at Hogwarts for how long? You're the best wizard at Hogwarts! You would create a spell that creates magic clouds. You can create heavy rain, grey skies, and more importantly, after learning how to manipulate spell down the road, your clouds can pour down anything you desire. You can also use your magic clouds for transportation. Use it carefully during combat, one wrong word and your cloud will consume you instead. All wizards need to drop their wands at your feet! You would create a different type of hologram spell. It would help someone be in more than one place at a time. It would also help you trick people in combat: you'd appear in multiple places at once. This spell can work on food as well. Now create holograms of yourself and tell everyone about this great spell. Everyone at Hogwarts needs to wake up, there is a genius among them! You created a spell that instantly makes someone go into a sleep state. Whether they are in the middle of a conversation or sitting and reading a book, you chant the spell and they fall asleep. The spell can also make you appear to be sleep though you are wide awake. Tell your friends not to sleep on this one! You created the holy grail, a spell that gives you the ability to turn green and grow like the Hulk. This spell gives you super strength, and makes you inordinately fast. You're currently working on making this a potion rather than a spell, but for now, this works! The people at Hogwarts aren't gonna like it when you're angry. You've been tasked with creating a spell at Hogwarts, what will you come up with?